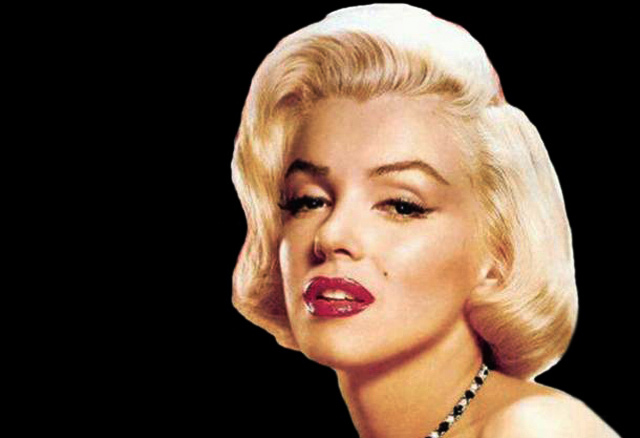 Marilyn Monroe is definitely having another moment in popular culture. The zeitgeist started somewhere around October when Michelle Williams played the legend in the Oscar-nominated My Week with Marilyn. 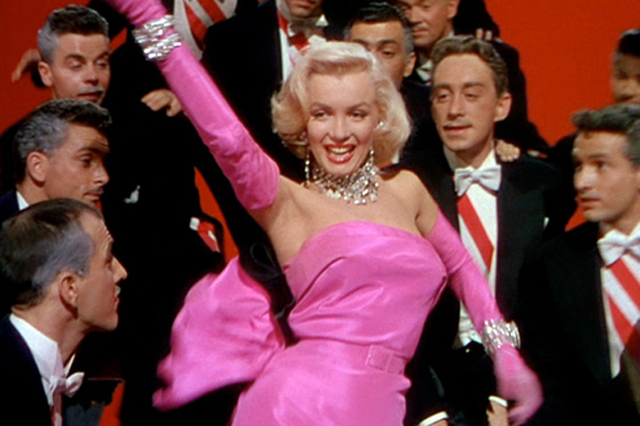 Then there was suddenly an entire series on television--Smash--about the creation of a Broadway play based on the life of Marilyn Monroe. Additionally, Cannes recently showed Marilyn as their inspiration and poster girl for this year's film festival. And now with her birthday at the top of June, magazines like Vanity Fair have celebrated by putting her on their covers and devoting pages to her story and style. That style continues to influence as is evident by the rush of celebrities who are currently channeling "The Look" of Marilyn on the red carpet. All this said, Marilyn has never gone out of style. 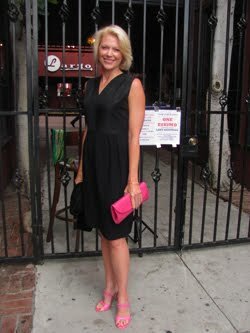 She has always fascinated us and possessed a classic look that seems to be perpetually on trend. Though her iconic moments in film came from the costumes, her hair and makeup have been equally influential. 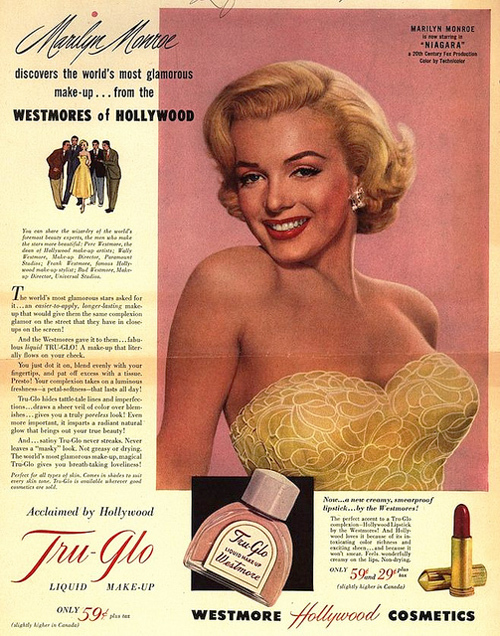 Marilyn used many studio stylists like the great Sydney Guilaroff for subtle changes to her short blonde hair, but the look of her makeup was the result of friend Allan "Whitey" Snyder. 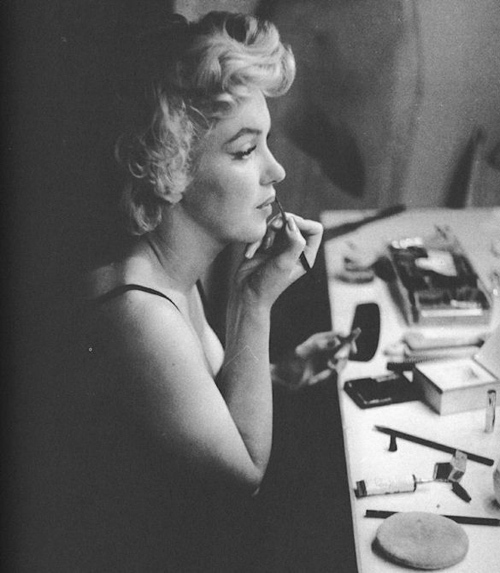 During pre-production for Niagara (1953), Whitey and Marilyn experimented with many makeup looks in order to finally find the face that would become uniquely her own. "We used that look for several pictures in a row," Whitey would later say. "'The Look' was established." 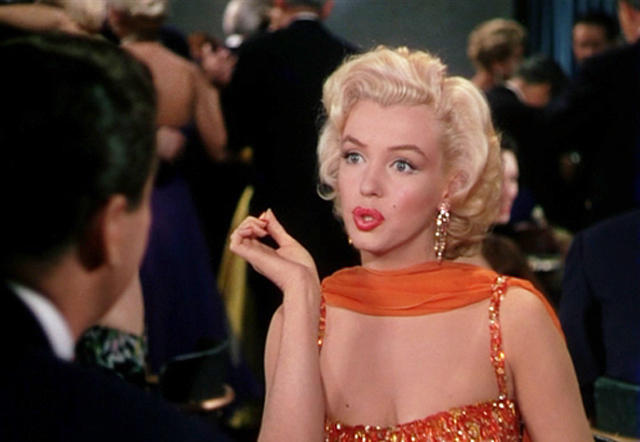 Of course the films that followed were the iconic Style Essentials Gentlemen Prefer Blondes (1953) and The Seven Year Itch (1955), which was the subject of my own recent tribute to the bombshell and her style. 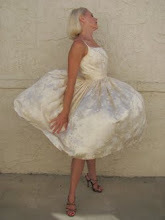 As I will continue to show, the ongoing impact of Seven Year Itch is unprecedented...both for the influence of Travilla's dresses as well as the perfection of her hair and makeup. 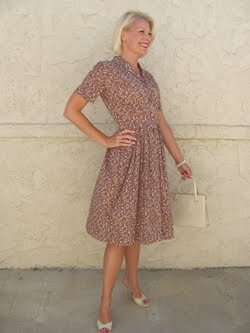 "The Look" of Marilyn Monroe endures today and you can see here how to make it your own. Actresses Rachel McAdams (above) and Miley Cyrus both take on "The Look"
Though the deep colored lip is a strong part of her look here, both the eyeshadow and lipstick choices would get more pale as she entered the 1960s. always pairing them with an evening version of "The Look"
Hi Kimberly! Are you familiar with Lisa Eldridge? She's an amazing celebrity makeup artist who posts tutorials and tips on her YouTube channel and blog. 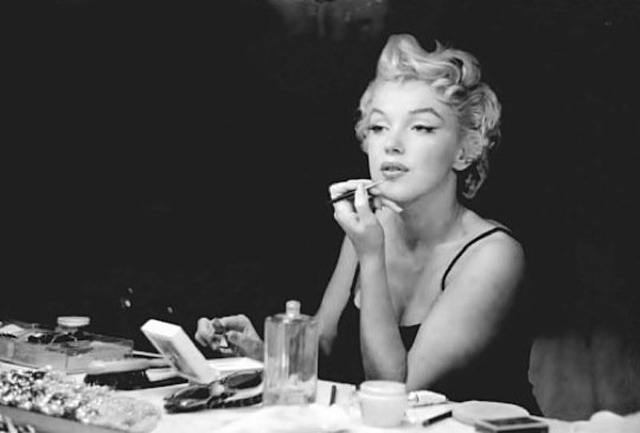 Anyway, she did a fantastic Marilyn Monroe makeup tutorial recently that you might enjoy. 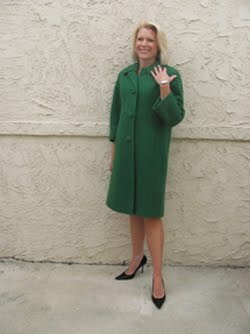 She also did the best Audrey Hepburn/Breakfast at Tiffany's look I've ever seen online. I love Lisa Eldridge! She's so talented. Thank you for sharing, Melissa! 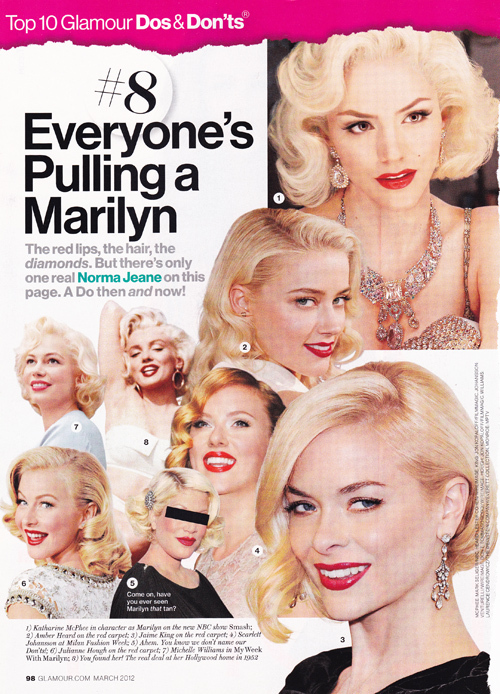 These are wonderful and I just added her tutorial on Marilyn's look in the article. I've also started a new video playlist on GlamAmor's YouTube channel on retro makeup since we'll be discussing much more of that here. :) Lovely! Kimberly, Many have tried but none have come close to achieving the look and persona Marilyn Monroe concocted - or her impact of pure onscreen magic. 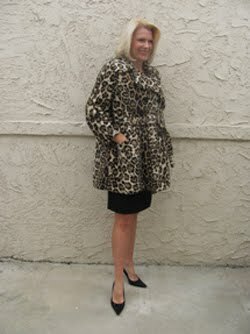 She surpassed Jean Harlow, her model, very early on. 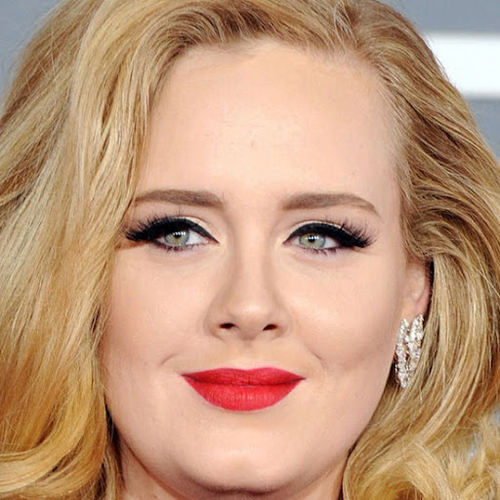 Thanks for an interesting look into her latest resurgence in the public consciousness. It's so true, Lady Eve. Marilyn was the absolute master of her onscreen image, and this look into the strategy behind her hair and makeup is proof. The lessons she learned from Jean were but a starting point for the creation of her myth. She knew what worked back then and somehow it all still works today. Fascinating.